Sorry, no review of Worms: Battle Islands yet. Prepare to rally your worm troops and battle your way through Worms: Battle Islands on Wii! Take control of a secret island base, which you can see on a global map. From here, plot to defeat your enemies, expand your territory and win buildings and items that will give you a strategic advantage in every game of Worms: Battle Islands you play. Create your own weapons of mass destruction in the weapon factory using the “technology crates” collected from the single player campaigns. And take advantage of an all-new game mode that offers unique tactical possibilities with a range of special abilities that can be deployed before each match even begins. Every battle is important if you want to win the war! Choose from a selection of all-new weapons such as the never-seen-before Flare, and the high-tech EMP Grenade to add to an armoury that's already packed full of destructive firepower. New to the game? Not a problem! Each secret island comes with a retinue of staff to guide you through every aspect of the game. Play the game using either the motion sensing controls, or turn the controller sideways and use the classic control scheme. Play multiplayer with your friends via Nintendo Wi-Fi Connection! I hope it's better than Space Oddity. Didn't like that one. This has the potential to be one of the best games of this fall... I mean, all they have to do is just port Worms Armageddon, add online support and rankings and such and that should do it. Hopefully they won't end up screwing that up. I thought Oddity was ok..it just lacked on-line! Open Warfare 2 was superb on the DS. Anyway, this is a perfect fit for wiiware and hopefully will have on-line. From the few seconds of video ive seen this should be awesome! I'm holding off buying Worms for the DS in anticipation of this hopefully coming out soon. Can't wait, absolutely loved Open Warfare 2, and this looks to be even better. Should I spend my 2300 wii points now or keep saving them for this game? I figured it would be out by now! Hm, how come a video hasn't been posted yet? Is this ever coming out? Hope it comes out quick! 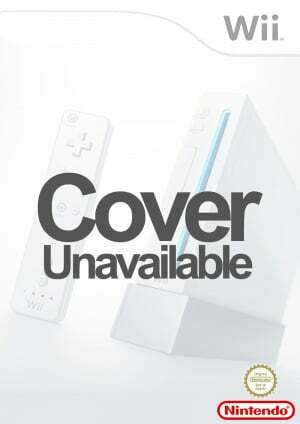 I already played it on my PSP,but Im imagining playing online on my Wii!! So exided!! And when is it going to come out?! If any of yall have any questions about the game leave me a comment cuz I already played this game! This isn't out this week in eu, it's out next week. no review for this game?? The game is totally better than Space Oddity.It has sideways Wii remote controls and more weps.